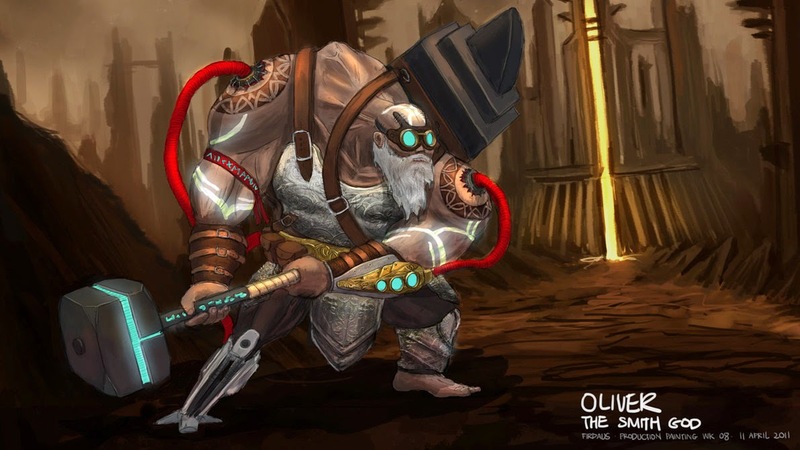 This is Oliver, a smith god once bullied by the other gods. With the help of his adrenaline pumps, trusty anvil and massive hammer, he broke free. Originally meant to be an entry for Dominance War.